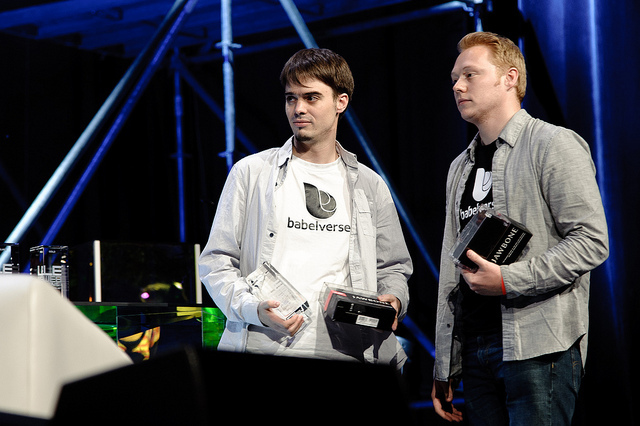 The real-time voice translation startup Babelverse will provide live interpretation of TNW Conference in Spanish and Portuguese, its co-founders announced today. For the young startup, it is a great way to showcase its platform, ahead of the public beta version it will announce on stage in Amsterdam. As you may have read, Babelverse is one of the finalists of TNW BizSpark Beta Startup Rally, which will give it a chance to introduce its remote online community of human interpreters to the world. Yet, it is also a good opportunity for Babelverse to give back to Latin America – after all, it may not be where it is if it hadn’t been selected for Start-Up Chile’s acceleration program, leading its team to spend 8 months in Santiago. Since then, it went on to win the third place in LeWeb’s startup competition and the second place in PulsoStartup10. In practical terms, Babelverse’s partnership with The Next Web means that the Conference’s guests and participants will be able to listen to panels translated into their native language. Yet, its reach also goes well beyond Amsterdam, as translations will also be available via Babelverse’s dedicated landing page. To break even more barriers, Babelverse is also calling for interested individuals and companies to sponsor virtual tickets – and give Latin American geeks a chance to follow our Conference from their home country.